Woman: Why aren't you on Facebook? Man: I trust Mark Zuckerberg only as far as I could throw him -- maybe two or three feet. Woman: Here he comes now! Why don't you find out? Woman: Apparently, you trust him more than you realized. Man: I wouldn't have believed it! 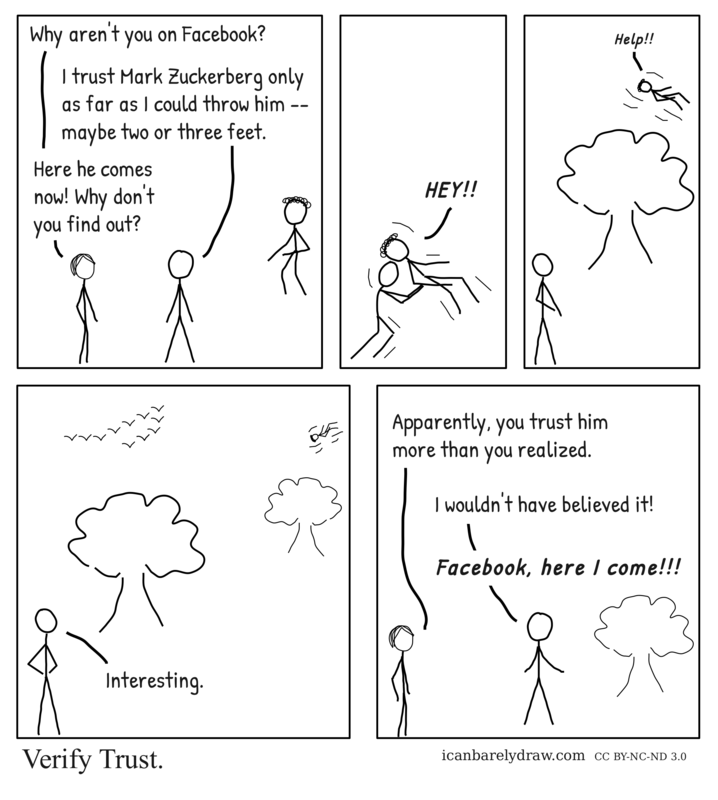 Man: Facebook, here I come!! !